The soft drinks brand show the skills of a famous footballer and ask the participant to match their skills with him through AR. 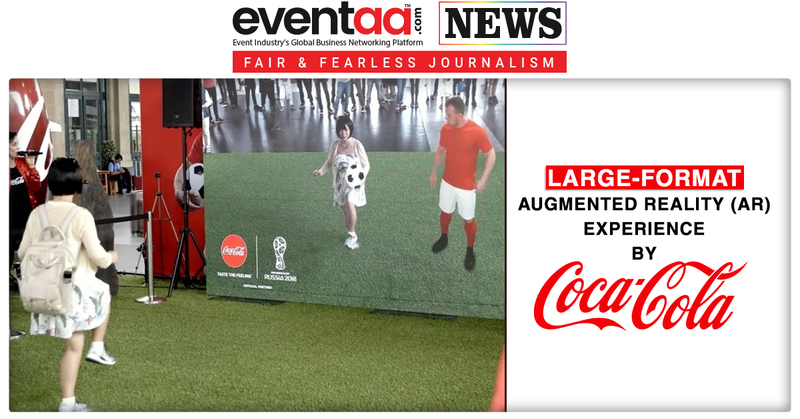 Coca-Cola Switzerland used large-format Augmented Reality (AR) experience at Zürich’s main train station to play alongside Switzerland’s star footballer Xherdan Shaqiri on-screen. The visuals are unbelievable, and it appear the participant is playing with the star (see the video). At the end of the experience, the user is prompted to take a photo moment with Shaqiri, with the option to enter their details to receive a copy of the photo and a chance to win a FIFA World Cup Official Match Ball. What are your thoughts on the large-format augmented reality? Let us know in the comments below.